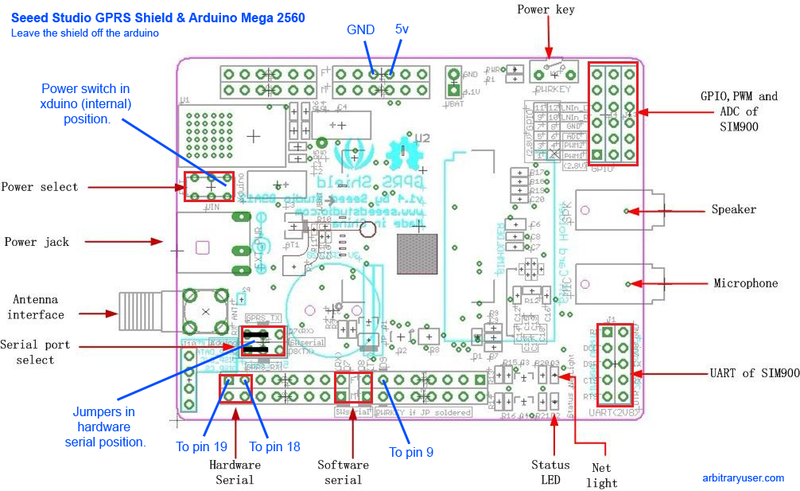 Recently I battled to get the Seeed Studio GPRS Shield 1.4 and Arduino Mega 2560 to talk to each other. I eventually discovered that they are not actually compatible when stacked (without some ugly pin jumping, and even then, not really compatible because the Software Serial can’t seem to really handle 19200 baud rates). This only requires 5 connections. The blue labels represent the Arduino pins to connect to. 5v and GND – These should be pretty obvious. Pin 9 – This pin is used to turn the SIM900 on and off. Finally note the position of the jumpers (HW Serial) and the position of the Power Switch (Internal). 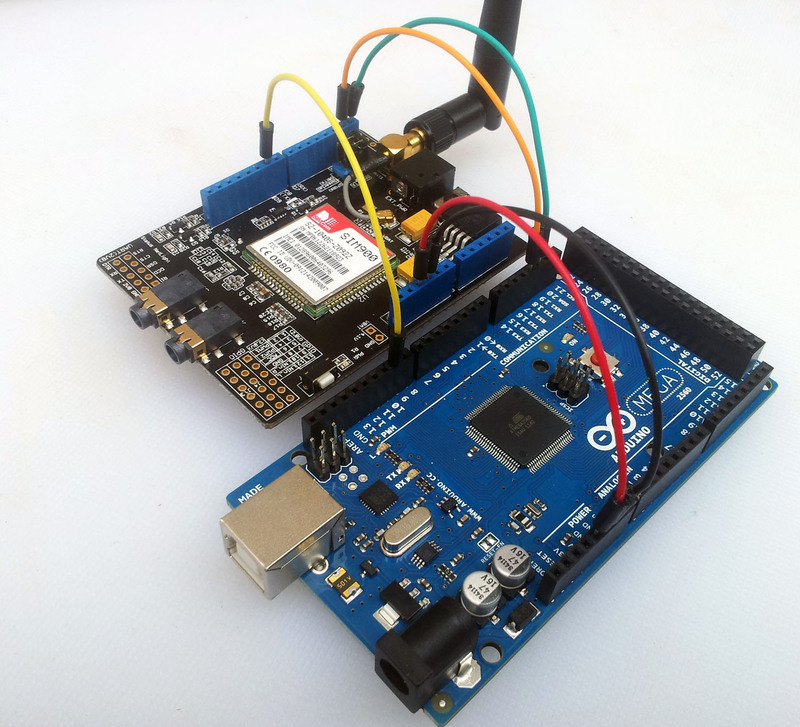 Then finally you can load up the following sketch to get serial access to the GPRS modem via the Arduino’s serial monitor. // Automatically power up the SIM900. // End of SIM900 power up. In Serial Monitor (or similar app) you will then see it start to talk to you after the initial ~5 second startup delay. Plus a link to an article that explains how to turn a hard drive into a speaker. Lourens, I know you have hard drives lying around.